Home Articles THE LIFE Is Fitness Your Religion? 2. Temples of Worship – Do you regularly visit a gym and/or fitness center? Many would consider these temples of worship. 3. Food Offerings – Do you engage in weekly food prep? This really qualifies if you layout your food on the counter for that all too common Instagram or Facebook picture. Yeah, I’m looking at your newsfeed. 4. Nightly prayers – Have you ever prayed for bigger muscles, a smaller waist and/or the evisceration of body fat? Sounds like a prayer to the bodybuilding gods to me. I pray for bigger biceps almost every night, so you’re not alone. 5. Communion – Do you regularly consume whey protein, a pre-workout beverage and/or BCAAs? I know you do, so let’s just skip to number 6. 6. Holy books – Do you read magazines like Oxygen, Muscular Development and Muscle and Fitness from cover to cover? I bet you even use a highlighter and a bookmark. Busted. 7. Holy men – Do you routinely watch videos of guys like Kai Greene, Arnold and/or Nicole Wilkins on YouTube? How about that diet guru, Dr. Layne Norton? Yeah, I thought so. 8. Religious Garb – If we look in your closet, do you have a wide assortment of yoga pants, sweats and/or other Dri-FIT‎ clothing? Do the brand’s Flag Nor Fail, Dcore, and Cardillo ring loudly in your ears like church bells? Moving on. 9. Commandments – Do you follow the holy commandments? 10. 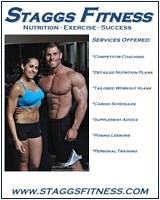 Financial Offerings – Have you ever cut a check to the NPC or IFBB? Yes, I said a check; you know the NPC doesn’t accept PayPal or other forms of electronic payment. Just jokes, Manion family! 11. False Idols – No religion is complete without false idols. We’re talking about you, Zumba! 12. Zealots – And, we can’t forget about the zealots, namely Herbalife, ViSalus and Shakeology, just to name a few. 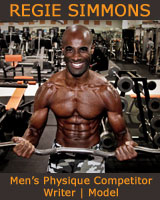 Use discount code: REGIE to save 20 percent at bodyfuseusa.com.